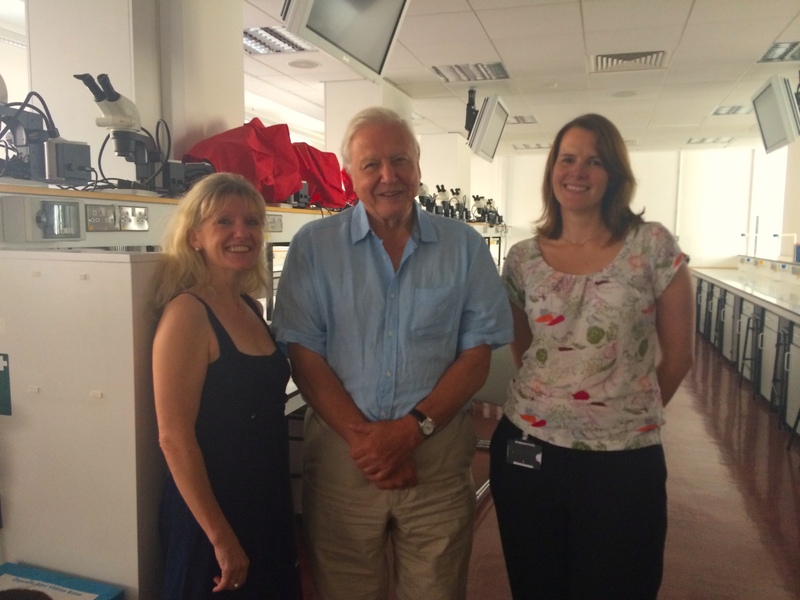 Prof. Nicky Clayton, Sir David Attenborough and Dr. Laura Kelly during recent filming for ATTENBOROUGH’S CURIOUSITIES by the BBC. Image | This entry was posted in Clive Wilkins, Prof. Nicky Clayton and tagged Clive Wilkins, Moustachio Quartet, Nicky Clayton, The Captured Thought, WIND on the WIRE Publishing. Bookmark the permalink.